Undeniably one of the greatest artists of all time, Michelangelo Merisi da Caravaggio would develop a radically new kind of psychologically expressive, realistic art and, in the sixteenth and seventeenth centuries, would lay the foundations for modern painting. His paintings defied tradition to such a degree that the meaning of his works have divided critics and viewers for centuries. 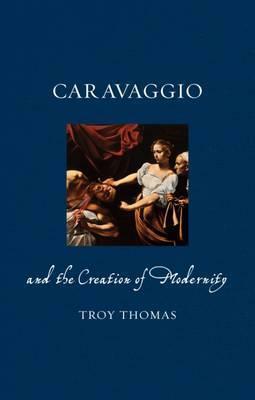 In this original study, Troy Thomas examines Caravaggioâ€™s life and art in relationship to the profound beginnings of modernity, exploring the many conventions that Caravaggio utterly dismantled with his extraordinary genius. Â Â Â Â Â Â Â Â Â Â Â Thomas begins with an in-depth look at Caravaggioâ€™s early life and works and examines how he refined his realism, developed his obsession with darkness and light, and began to find the subtle and clever ambiguity of genre and meaning that would become his trademark. Focusing acutely on the inherent tensions, contradictions, and ambiguities within Caravaggioâ€™s paintings, Thomas goes on to examine his mature religious works and the ways he created a powerful but stark and enigmatic expressiveness in his protagonists. Lastly, he delves into the artistâ€™s final hectic years as a fugitive killer evading papal police and wandering the cities of southern Italy. Â Â Â Â Â Â Â Â Â Â Â Richly illustrated in color throughout, Caravaggio and the Creation of Modernity will appeal to all of those fascinated by the history of art and the remarkable lives of Renaissance masters.